From that time to the 17th century and especially after the Royal Square (Place Royale, current place des Vosges) was designed under King Henri IV in 1605, the Marais was the French nobility's favorite place of residence. French nobles built their urban mansions there—hôtels particuliers, in French—such as the Hôtel de Sens, the Hôtel de Sully, the Hôtel de Beauvais, the Hôtel Carnavalet, the Hôtel de Guénégaud and the Hôtel de Soubise. After the nobility started to move to the Faubourg Saint-Germain and Île Saint-Louis in the late 18th century, the district became a popular and active commercial area, hosting one of Paris' main Jewish communities. At the end of the 19th century and during the first half of the 20th, the district around the rue des Rosiers, referred to as the "Pletzl", welcomed many Eastern European Jews (Ashkenazi) who reinforced the district's clothing specialization. During World War II the Jewish community was targeted by the Nazis who were occupying France. As of this date, the rue des Rosiers remains a major centre of the Paris Jewish community, which has made a comeback since the 1990s. Public notices announce Jewish events, bookshops specialize in Jewish books, and numerous restaurants and other outlets sell kosher food. The synagogue on 10 rue Pavée is not far from rue des Rosiers. It was designed in 1913 by Art Nouveau architect Hector Guimard, who designed several Paris Metro stations. Le Marais houses the Museum of Jewish Art and History, which traces the history of the Jewish world through its artistic and cultural heritage. By the 1950s, the district had become a working-class area and most of its architectural masterpieces were in a bad state of repair. In 1964, General de Gaulle's Culture Minister Andre Malraux made the Marais the first secteur sauvegardé (literally safeguarded sector). These were meant to protect and conserve places of special cultural significance. In the following decades the government and the Parisian municipality have led an active restoration and Rehabilitation Policy. The main Hôtels particuliers have been restored and turned into museums: the Hôtel Salé hosts the Picasso Museum, the Hôtel Carnavalet hosts the Paris Historical Museum, the Hôtel Donon hosts the Cognacq-Jay Museum, etc. The site of Beaubourg, the western part of Marais, was chosen for the Centre Georges Pompidou, France's national Museum of Modern Art and one of the world's most important cultural institutions. The building was completed in 1977 with revolutionary architecture by Renzo Piano and Richard Rogers. 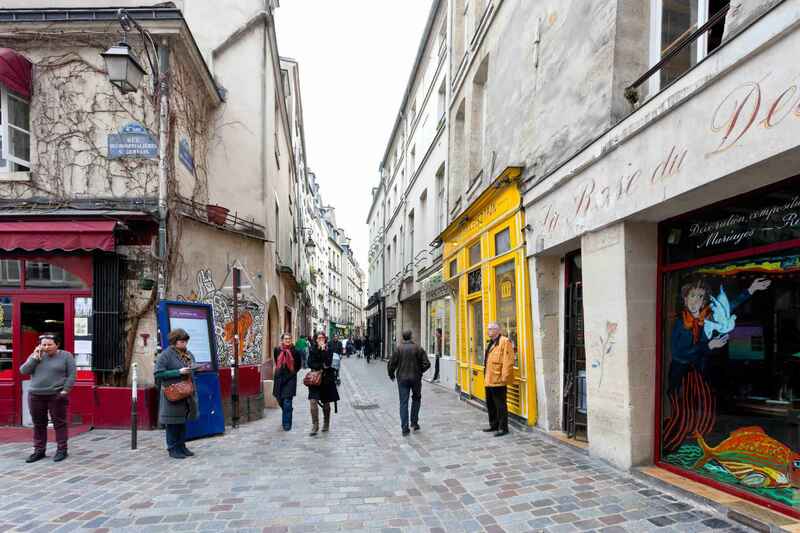 The Marais is now one of Paris' main localities for art galleries. Following its rehabilitation, the Marais has become a fashionable district, home to many trendy restaurants, fashion houses, and hip galleries. The Marais is also known for the Chinese community it hosts. The community began to appear during World War I. At that time, France needed workers to replace its at-war soldiers and China decided to send a few thousand of its citizens on the condition that they would not take part in the war. After the 1918 victory, some of them decided to stay in Paris, specifically living around the current rue au Maire. Today, most work in jewellery and leather-related products. The Marais' Chinese community has settled in the north of the district, particularly in the surrounding of Place de la République. Next to it, on the rue du Temple, is the Chinese Church of Paris. Other features of the neighbourhood include the Musée Picasso, the house of Nicolas Flamel, the Musée Cognacq-Jay, the Musée Carnavalet and the new and very popular Café Charlot. Le Marais became a center of LGBT culture, beginning in the 1980s. As of today, 40% of the LGBT businesses in Paris are in Le Marais. Florence Tamagne, author of "Paris: 'Resting on its Laurels'? ", wrote that Le Marais "is less a 'village' where one lives and works than an entrance to a pleasure area" and that this differentiates it from Anglo-American gay villages. 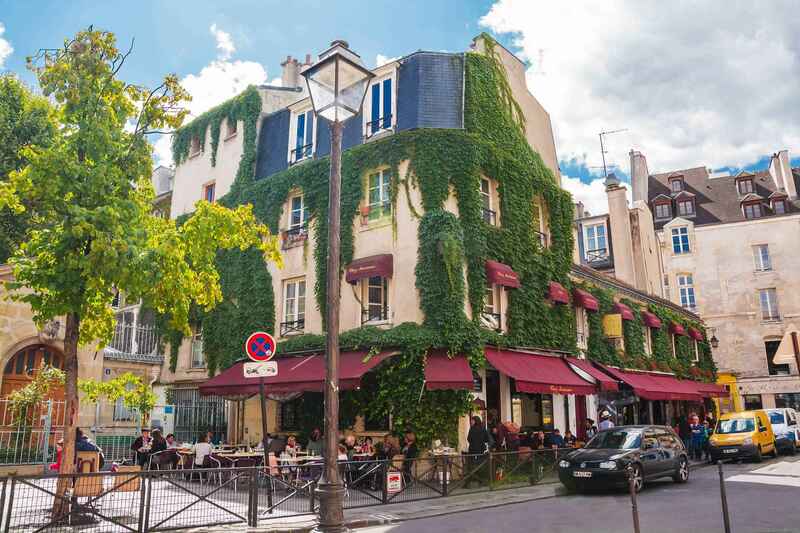 Tamagne added that like U.S. gay villages, Le Marais has "an emphasis on 'commercialism, gay pride and coming-out of the closet'".Le Dépôt, one of the largest cruising bars in Europe as of 2014 (per Tamagne), is in the Le Marais area. Le Marais - General | eTips Inc.